In Turkey, private antitrust litigation has been applicable since Law No. 4054 on the Protection of Competition (Competition Law) entered into force in 1994. There have been a number of pending cases concerning private enforcement of competition law. The judicial developments has been relatively limited and there have not been many court precedents in that respect. This is mostly because injured parties are largely unaware of the private enforcement and compensation opportunity. Additionally, the lengthy court proceeding period and the rules regarding the limitation period are among the factors preventing private antitrust litigation from becoming attractive to the injured parties. Moreover, the lack of established practice among the civil courts and difficulties encountered in accessing evidence for antitrust practices also constitute obstacles to the development of the private antitrust litigation. However, the increasing interest of academics and bar associations encourages future private antitrust litigation. Another promising aspect is the discussion platforms that bring the Turkish Competition Authority (TCA), the courts, the practitioners and the academics together to put forward their views and discuss the possible ways to create a tradition of private antitrust litigation. A positive development in that regard is a recent action taken by the parties (which have suffered damages) against the banks, which were found to have violated the Competition Law by being involving in a cartel. These cases are still ongoing and their outcome is yet to be seen. The rules regulating private antitrust actions are set forth under the Competition Law. Albeit granting injured third parties the right to claim damages, section 5 of the Competition Law does not provide any definition of an injured party (or parties) that has suffered harm as a result of a breach of the Competition Law. For example, it is still controversial whether or not indirect purchasers can claim damages. But the greatest difficulty that indirect purchasers may encounter in the process of private enforcement is to satisfy the conditions of being a ‘plaintiff’ in the relevant antitrust actions since they would have to prove a causal link between the competition infringement and the damages incurred under the Turkish law. Therefore, potential claims of indirect purchasers are likely to be dismissed by the court. In the case of a breach of the Competition Law, section 5 grants a right for injured party (or parties) to claim treble damages before the civil courts, which have exclusive jurisdiction in such matters. The civil courts shall apply general principles of torts regulated under the Turkish Code of Obligations No. 6098 (Code of Obligations). The procedural rules set out in the Code of Civil Procedure (CCP) are applicable to private antitrust litigation. At the same time, both parties may lodge an appeal against the civil court judgments. In addition, under the Consumer Protection Act, the Arbitration Committee for Consumer Problems has the power to hear consumer disputes below a certain threshold. This applies to disputes arising out of the Competition Law and the consumers must bring their disputes before this Committee so long as the dispute is below the concerned thresholds. The current thresholds range is between 4,570 Turkish lira to 6,860 Turkish lira depending on the municipality status of the city, where the dispute has arisen. In the case of a breach of any rule under the Competition Law, private actions can be taken in accordance with article 57 of the Competition Law. Those who prevent or restrict competition by way of anticompetitive concerted practices, decisions or agreements as well as by abusing their dominance, shall compensate the injured party(s) damages. In its judgment dated 30 March 2015 (2014/13296 E./2015/4424 K.), the Court of Cassation ruled that the injured parties may claim their damages as soon as they become aware of the person who violated the Competition Law and the existence of the injury. In addition, the court also stated that a decision of the TCA shall not be a prerequisite for bringing a compensation claim. Therefore, it is suggested to bring an action for damages as soon as possible, after submitting the complaint to the TCA. However, in a lawsuit based on competition law infringement without a previous application to the TCA, it is likely that the civil court would request the plaintiff to make its complaint to the TCA first so that it can determine whether there is a breach of competition law and whether there are legal grounds for the alleged competition law violation. On the other hand, the civil court shall only evaluate whether the applicant has suffered harm as a result of the competition law violation and shall not take into consideration arguments of the defendants against the decision of the TCA. In other words, civil courts do not have power to evaluate whether the TCA’s decision is against the law. However, the parties that are engaged in the violation of the competition rules may appeal the TCA’s decision finding the violation before the administrative courts. If a private enforcement action is brought to a civil court before the decision of the administrative court becomes final, the civil court may, under article 165 of the CCP, decide to wait until the said administrative court becomes final. The competent court in private antitrust litigation is determined in accordance with the CCP. The CCP authorises the local courts of the geographic district in which the damage has arisen or the court located in the domicile of the claimant. As for the general principle of jurisdiction, the court of the place where the illicit act or competition infringement has occurred shall be defined as the place where the essential elements of the illegal act have taken place. As to the location where the damage has arisen, this will likely be linked to the place where the claimant has incurred damages from the infringement. Taking into account that the TCA defines the relevant geographical market as ‘Turkey’, in most cases the court of the domicile of the claimant shall be competent to hear the case. Yes. Private actions can be brought against both corporations and individuals including those from other jurisdictions. In Turkey, there are no litigation-financing companies that fund litigation costs, bear financial risks or receive a certain percentage in the case of success. Under Turkish law, only attorneys-at-law are eligible to represent and act on behalf of clients in legal processes and litigation cases before courts, whereas antitrust investigations and filings before the TCA can be conducted by representatives who are not attorneys-at-law. As to fees, according to article 164 of the Attorneys’ Act, the attorneys’ fee may be agreed as a certain percentage or money to be litigated or adjudicated, not exceeding 25 per cent. Contingency fees are available under Turkish law. In the event of a successful outcome of the proceeding, the attorneys may receive a certain percentage of the proceeds recovered by the claimant, provided that the claimant and representatives (attorneys) agreed on this beforehand. No. Jury trials have been recognised in neither civil nor criminal cases under Turkish law. There are no pretrial discovery instruments that enable parties to obtain discovery regarding any non-privileged matter that is relevant to any party’s claim or defence. There are some discovery proceedings, such as requesting declaratory decisions for the breach of trademark and recording of evidence; however, these are not within the scope of antitrust private litigation. circumstantial evidence (ie, witness or expert opinions and on-the-spot inspections). Consequently, according to the CCP, any kind of evidence is admissible in private antitrust actions (see question 15). Whether or not a decision of the TCA may constitute direct evidence is a controversial question; however, the most opinion in this regard is that the TCA’s decision cannot be considered as direct evidence until it becomes final. The investigation may be initiated by the TCA, either by a complaint or ex officio. In cases where an undertaking or individual puts forward its complaint regarding the practices of another undertaking, both parties are entitled to make an appeal and claim the annulment of the TCA’s decision or issue of a stay order before the administrative courts, or both. If none of the parties submits an appeal within the envisaged time period or if the relevant courts uphold the TCA’s decision, it becomes final. Only then may the TCA’s decision may be referred to as direct evidence in the private antitrust litigation. In other words, if none of the parties to the TCA’s decision appeals it or the decision imposing a fine has been affirmed by the courts, the claimant may also use this as direct evidence to prove that the behaviour in question is against the competition law. The Court of Cassation clarified whether or not the TCA’s final decision shall be considered mandatory for bringing a legal action for damages in the antitrust litigation. The court of first instance in this case rejected the claims for treble damages as the TCA’s decision was not final. In other words, the court of first instance ruled that only the TCA’s final decision shall be a condition to bring a treble damages action to court. Nevertheless, the Court of Cassation annulled the ruling of the court of first instance and stated in its judgment that the TCA’s final decision shall be considered as a preliminary issue rather than a condition to bring a legal action for damages. The concept of legal privilege for lawyer-client communications exists in Turkey. The claimant shall not be entitled to request the defendant to present evidence that relates to communications between the defendant and its in-house counsel or lawyers. However, during the court proceedings, the court shall be guided by provisions of the CCP, as opposed to the procedural rules of the TCA. Pursuant to the general rules of law or CCP, the judges shall ensure appropriate measures to protect legal privilege including the documents, electronic communication, etc. At the same time, courts may order one of the parties or a third party to submit any relevant documents regarding the case or request any such documents from the TCA’s file. Should this be the case, the parties are not allowed to refrain from implementing the court’s order to submit such evidence based on the reason that such information constitutes a trade secret. In accordance with Turkish legislation, competition law infringements are not subject to criminal law. But if the action or behaviour that constitutes an infringement from the viewpoint of the Competition Law also constitutes a crime under the criminal law or other areas of law, (ie, public procurement law), then such perpetrators shall be penalised under both laws. Competition law infringements are not subject to criminal law (see question 12). Leniency applicants are not protected from follow-on litigation. According to the administrative procedure of the TCA, where the undertaking involved in a cartel informs the TCA about the cartel, it may be immune from a fine or benefit from a reduction of a fine under certain circumstances. However, there are currently no rules on leniency during private enforcement procedure and, in practice, leniency applicants may not be protected from follow-on litigation. However, the Draft Act on the Amendment of the Competition Law (Draft Competition Law) stipulates an essential amendment to private enforcement of competition law. Article 31 of the Draft Competition Law which amends article 57 of the Competition Law protects defendants or leniency applicants from damages claims (in case the immunity or reduction in fines has been granted to those defendants who have been actively cooperating with the TCA) and limits the damages claims to the total amount of the actual damage caused. As for the disclosure of the documents to claimants, the Communiqué on the Right of Access to the File and Protection of Trade Secrets provides some guidance. Within the scope of the right to access to the file, the parties can have access to any document that has been drawn up and any evidence that has been obtained by the TCA, except for correspondence among the TCA’s departments and information that constitutes trade secrets or other undertakings’ confidential information. Request for access to the file is evaluated by the TCA (investigation committee of the case). As a result of this evaluation, the TCA may deny this request if it is not convinced about legitimacy. If the request for access to the file is denied, the reason thereof shall be notified to the requesting party. Nevertheless, if the court requests the documents regarding the investigation file from the related parties or the TCA with its formal decision, both the parties and the TCA are obliged to submit any and all requested documents to the court without having any right to deny such disclosure based on the trade secrets or confidential information arguments. Under article 57 of the Competition Law, a private action does not depend on the TCA’s enforcement decision that is pending or at the stage of the appeal. Therefore, de jure, it is possible to bring a private action even if no administrative proceedings (ie, investigation or preliminary investigation) have been initiated or no final decision has been adopted by the TCA. However, de facto, the TCA’s decision is required. The Court of Cassation ruled in its judgment that if there is no TCA’s decision that constitutes the basis for the action for damages under the competition law, the court of first instance dealing with the private enforcement case shall wait for the TCA’s decision prior to proceeding with the hearing of the case. Therefore, if the TCA has already launched an investigation regarding the infringements of competition law that has the same subject as the case before the court of first instance, notwithstanding the fact that no imperative legislation provides this, the court shall usually prefer to wait until the TCA’s investigation is finalised prior to continuing the litigation proceedings. In addition to this, if the TCA has not launched any investigation related to the private action case before the national court, the national court shall request the plaintiff to apply to the TCA in order to obtain an administrative decision regarding the alleged competition law violation. Note that although there are no direct legal obstacles to bring a private action related to the competition law infringements before the courts in Turkey, the courts of first instance normally prefer to wait for the TCA’s final decision (which is in line with the court’s practice) before proceeding with the file. In this respect, the Draft Competition Law includes a provision that aims to resolve this issue. For instance, the court may request that the TCA provides an opinion with regard to the alleged anticompetitive conduct as a mandatory legal expert. Should this be the case, the court shall wait until the TCA submits its opinion on the case to the court. Under the CCP, the burden of proof is on the person claiming that the acts of the other party constitute the competition law infringement. Actions for damages in private enforcement of competition law are subject to general evidence rules applicable to the illicit acts under the civil law. In this respect, as a proof of damaged suffered, the claimant shall provide the court with sufficient evidence of a breach by the defendant of competition rules, the existence of damage and the causal link between the unlawful act and the damage incurred. The CCP does not define the standard of proof such as ‘balance of probabilities’ or ‘beyond reasonable doubt’. Proof of the relevant facts is sufficient. Moreover, under Turkish law, the judge has a discretionary power to assess the evidence and decide whether it is sufficiently convincing. In accordance with article 59 of the Competition Law, it is sufficient to provide evidence that illustrates the existence of agreements, decisions and practices restricting competition. There is an exception to the above-mentioned general rule. If certain conditions are satisfied, the burden of proof passes to the defendant. In particular, if the injured party (or parties) submits to the court evidence (eg, of the actual sharing of markets, stability of the market price for a long period of time and, or the price increase within close intervals by the undertakings operating in the market), which gives the impression of the existence of an agreement, or the distortion of competition in the market, then the burden of proof (that the undertakings are not engaged in concerted practice) shall lie with the defendant. ‘Collective party proceedings’ had not been specifically recognised in the antitrust litigation proceedings in Turkey. The new CCP entered into force in 2011, (unlike the Competition Law) recognises collective action proceedings, although they are very limited in scope (see questions 19 and 20). In terms of ‘single party enforcements’, however, there are no standard timetables for the court proceedings. The court is the last instance for reviewing judgments rendered by lower instance courts upon the appeal in cessation. It is also entitled to modify and revise its own rulings upon request. The parties have no explicit rights to accelerate proceedings. Each party has the possibility to accelerate the proceedings by its own conduct, that is, by not requesting an extension of time limits. The duration of court proceedings is relatively lengthy and the total length of proceedings including all instances constitutes approximately two-and-a-half to three years. Besides, according to articles 184 and 186 of the CCP, following the legal examination, the court shall summon the parties to a hearing only after the evidence has been evaluated. In other words, the hearing shall not take place until all evidence has been examined. This practice has been in force since the enactment of the CCP in 2011. In addition, in order to achieve uniformity in cases, the Court of Cassation’s opinions and judgments are considered as precedents for the lower instances courts. It is also possible for the parties to include references to precedents in their applications to accelerate the court review proceedings. The Competition Law does not set forth any rules regarding time limitation for bringing treble damages compensation claims. The question of whether a private action is time-barred has always been arguable, and there have been attempts to make the calculation of limitation periods clearer by applying the principles of the Code of Obligations. According to article 72 of the Code of Obligations, a limitation period for a private claim shall be two years but, in any case, the ability to claim damages expires in 10 years. As for the starting dates of the limitation period, the two-year period for general or intangible damages resulting from tort liability under competition law shall start running from the date when the party becomes aware of it. The 10-year period shall start running from the date when the act causing damages took place. Customising these rules of the Code of Obligations and applying them by analogy to the competition cases requires a comprehensive interpretation. The Competition Law does not have any provision regarding limitation periods for private enforcement. Therefore, the general two-year limitation period for private actions in antitrust litigation shall start running from the date when the injured party became aware of the competition law infringement and of the perpetrator. Additionally, the Court of Cassation in 2015 revised its precedent regarding lapse of time regulations and clarified the principles governing the implementation of time limitations with regard to private antitrust actions. In particular, the Court of Cassation ruled that the time limitation of eight years, as regulated under article 20 of the Misdemeanour Act No. 5326, shall be applicable for bringing private antitrust claims. In determining the lapse of time, the Court of Cassation put emphasis on the penal characteristics of the administrative fines imposed by the TCA. According to the second sentence of article 72 of the Code of Obligations, longer limitation periods shall be considered if a right to claim damages arises from conduct prohibited under the criminal law. Therefore, the court set out the two-year time period to claim compensation owing to anticompetitive behaviour (it used to be one year according to the former Code of Obligations) and extended the limitation period to claim treble damages to eight years. Moreover, the judgment of the Court of Cassation provided more legal certainty by acknowledging that the limitation period shall start running from the date of submitting a complaint to the TCA; namely, becoming aware of the infringement. The Court of Cassation also clarified the question whether or not the TCA’s decision becoming final shall be considered as a mandatory condition for bringing the treble damages action. The court of first instance in this case rejected the claims for treble damages on the grounds that the TCA’s decision was not final, but the Court of Cassation annulled such ruling and stated in its judgment that the TCA’s decision becoming final shall be considered as preliminary issue rather than a condition to bringing a legal action for damages. The judgment of the court of first instance may be appealed on the substantive or factual grounds and procedural errors. Under the CCP, the rulings of courts of first instance may be appealed to the Regional Courts of Appeal and then to the Court of Cassation. Appealing a judgment before the Regional Court of Appeal may be based on all grounds including errors of law, facts or procedures. There were no provisions regarding collective actions under the previous CCP. However, the new CCP, which entered into force in 2011, recognises collective action proceedings, although they are very limited in scope. A ‘class’ shall consist of a group of people who are members of an association or another legal entity and it shall not be possible to widen the scope of this class to other persons who have suffered damages as a result of the same action but who are not the members of the said association or legal entity. In other words, it shall not be possible to define the class on a case-by-case basis but the class is predefined as the members of the association or legal entity whose rights have been violated. Therefore, under the CCP, collective proceedings are available in respect of antitrust claims, although with a very limited scope. Collective proceedings are not mandated by the Competition Law, only by the CCP. Additionally, some associations have the right to commence collective proceedings within the scope of the Consumer Protection Law. Consumer organisations are allowed to represent consumers regardless of their memberships. However, the scope of this right is limited to the violation of the Consumer Protection Law and does not cover the disputes arising from competition law. Therefore, consumer organisations cannot commence collective action and claim damages in regards to an antitrust injury. Because collective proceedings are not specifically envisaged for private enforcement of competition law, the certification process is not available. According to article 113 of the CCP, only an association or a legal entity may commence collective proceedings to protect the rights of its members. The same article also dictates that the legal entity must act in accordance with its statute (eg, its articles of association) and must not exceed the limits set by that statute. Accordingly, this article may be used by way of analogy for the certification process for antitrust injury. No. The courts have not certified collective proceedings in antitrust matters yet, since the legislation for collective proceedings is quite new under the CCP. Moreover, the law does not specifically envisage such option for private enforcement of competition law. However, considering that consumer law allows consumer organisations to launch collective proceedings in certain issues, as well as the CCP provisions, it is arguable before the court that these organisations will also be allowed to use such a right in antitrust issues as well. According to article 57(c) of the CCP, the claimants are able to opt in as long as their claims have common legal basis or facts. They may also opt out if they wish to do so. However, by opting out, such claimants may lose the right to raise the same claims again in the future. As a general rule, disputing parties are allowed to reach an out-of-court settlement. However, since collective settlements are not mandated by the Competition Law in Turkey, judicial authorisation is not required for the collective settlements. This is not applicable to Turkey, since it is not divided into multiple jurisdictions. No. A plaintiffs’ collective-proceeding bar has not developed in Turkey yet because collective proceedings is a relatively new institution for the Turkish legal system given that it was recognised for the first time under the CCP in 2011 (see question 19). Under the Code of Obligations, normally the injured party is only entitled to claim compensation amounting to the damages suffered. However, the treble damages practice in Turkish competition law is an exception to this rule. The Competition Law specifically provides that the injured party has the right to claim damages, which is the difference between the cost it paid and the cost it would have paid if competition had not been limited. 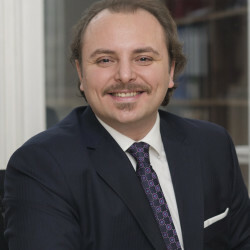 Also, treble damages are available in Turkish competition law where damages arise from an agreement or a decision of the parties, or from cases involving gross negligence of them including abuse of dominance cases. According to the Competition Law, the amount of damages that the injured party (or parties) may claim is the difference between the amount that the party actually paid and the amount that it would have paid, had there been no restriction or violation of competition in the market. On the other hand, competitors that are affected by the restriction in the market may request for compensation for all of their damages, including the lost profit, that is, all profits the competitors expected to gain shall be calculated. Previous years’ balance sheets shall be considered for the calculation purposes. As per the Code of Obligations, the amount of compensation shall be determined by the court depending on the nature of the situation and the level of the defendant’s fault. If the injured party had any benefits as a result of the infringement, these benefits shall be deducted from the amount of damages. The claimant may also seek interim measures from the court if he or she is harmed by anticompetitive behaviour. 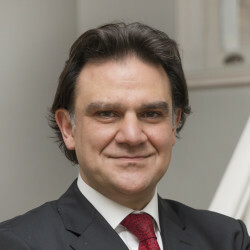 In the event of an immediate risk arising from the potential delay of the judgment, the claimant may request the court to seize the assets of the defendant. Furthermore, courts may issue interim measures ordering the defendant to perform a certain action, such as supplying the claimant with certain goods under circumstances in which the claimant would otherwise lose important customers. The Draft Competition Law provides the claimants with the possibility of requesting interim measures in order to cease the infringement. Therefore, the claimant must prove that if this infringement will not be ceased, it will cause irreparable harm due to anticompetitive behaviour of the defendant. Upon the claimant’s requests, the court may order compensation in favour of the claimant amounting to the treble amount of the material damages suffered (see question 27). Treble damages are intended to serve a purely punitive function. It should also be noted that the current treble damage clause of the Competition Law, amended in accordance with the Draft Competition Law, is optional for the judge so that damages corresponding to the actual harm may be granted to the claimant. There is no specific provision regarding interest on damages awarded. On the other hand, there is a precedent of the Assembly of Civil Chambers of the Court of Cassation in 2005 in respect of interest on damages arisen from torts, which reads as follows: ‘[T]he defendants are also liable for the interest on compensation from the date of the occurrence of the illicit act’. However, in some cases, damages may occur after the competition infringement has emerged. In that respect, injured parties are entitled to indemnity as of the date when the damage from the competition infringement has arisen. Under the Turkish law, the claimant shall explicitly claim the interest and specify the date of the damage in the petition. If the claimant does not specify the date when such damage has arisen, the judge shall rule for interest on damages from the date of the judgment. Fines imposed by the TCA are not taken into account in setting damages by the courts. Even if the TCA imposes the highest fine, the damaged party shall not be deprived from the right to request a compensation. The legal costs, including litigation costs and attorneys’ fees, are allocated depending on the outcome of the case. Normally, the party that loses the case shall bear such legal costs. Attorneys’ fees are calculated on the basis of statutory fees. In principle, the person exposed to damages is entitled to claim the compensation from one or all of the defendants who severally or jointly caused such damages. This principle is also stipulated under article 57 of the Competition Law. According to article 61 of the Code of Obligations, joint and several liability is only applicable if the defendants ‘sustained the damages severally’. Each defendant is liable for the total damages of the claimant regardless of its contribution to the total damage. In cases where several defendants are involved in the anticompetitive behaviours, any of the defendants can be held liable for the entire scope of damages caused by all of the defendants. In this regard, the Code of Obligations regulates that if several persons have together caused damage or are responsible for the same damage for different reasons, the provisions regarding joint and several liability shall be applied accordingly. Therefore, the claimant may recover full damages from either of the defendants and it is not for the claimant to bring its claims against every person contributing to the damages caused. However, the Code of Obligations also provides that the determined compensation shall be divided among the defendants who are jointly and severally liable, by taking into consideration all circumstances, the gravity of fault and the intensity of the characteristic risk imputable to each of them. A jointly and severally liable person who has paid in excess of his or her share has a right of recourse against others; and, to this extent, he or she is subrogated to the rights of the injured person. In other words, the civil courts will decide whether a defendant who has paid more than his or her part of injury may recover partial reimbursement from the other defendants and, if the defendant has the right to recourse, then the court will also determine the amount each defendant is liable for. In determining these amounts, the court shall take into consideration the degree of seriousness of the fault committed by each defendant and its ultimate effect. Therefore, the defendants may put forward their contribution and indemnity arguments in the same proceedings as the principal claims. To the best of our knowledge, there is no precedent on this matter as yet. There is no special defence that would permit companies or individuals to defend themselves against competition law liability. However, if anti-competitive behaviour results from an obligation under a different area of law, the undertaking concerned may avoid such liability by putting forward the provision of law leading to liability for the breach of competition law. In recent years, some amendments to Turkish law were introduced to encourage alternative dispute resolution such as arbitration and mediation. Therefore, alternative dispute resolution is available in order to create a time- and cost- efficient way to solve the conflicts. Such proceedings are only admissible if an arbitration clause has been agreed between the parties. However, in terms of damage claims due to the breach of competition rules, it is not clear whether or not the alternative dispute resolution is possible since there is no relevant precedent yet. The need for a precedent stems from the existing public interest in competition law violations. The issues such as granting exemption and merger controls are among the exclusive powers of the TCA. On the other hand, especially about the application of ‘up to treble damages’ or ‘treble damages’, it is not yet certain whether other courts will rule in the same manner. Additionally, many of the actions brought by the injured parties against the banks, which were found to have violated the Competition Law by being involved in concerted practices and agreements, are still not final. Therefore, about the application of ‘up to treble damages’ or ‘treble damages’ in Turkey is expected to be shaped in accordance with the decisions of the Court of Cassation.